The most creative table designs and elegant coffee tables that will spice up your living room and impress your guests. 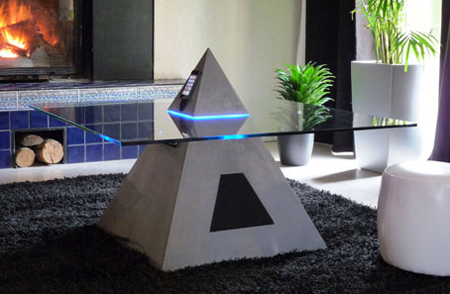 Cool pyramid shaped table by Stephane Thivend integrates two amplified speakers and an iPod dock. 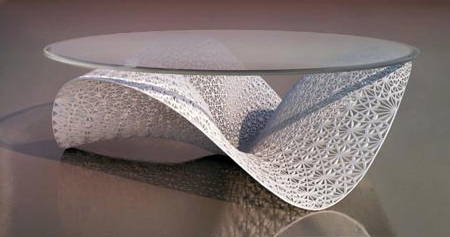 Stylish coffee table mimics the intricate weaving of a basket. 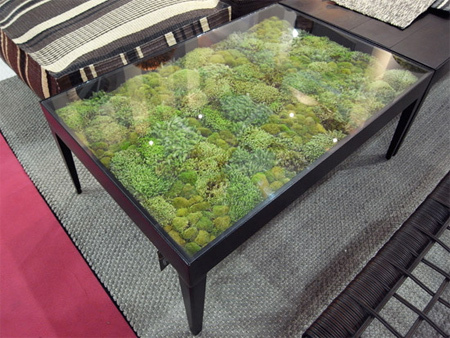 Unique coffee table designed by Ayodhya uses real dried moss inserted under a glass table top. 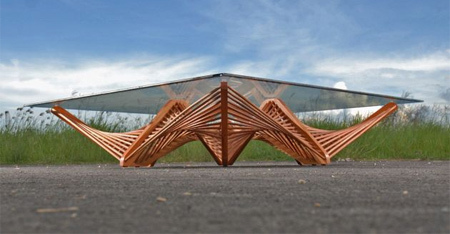 Elegant coffee table designed by Benoît Deneufbourg from Belgium. 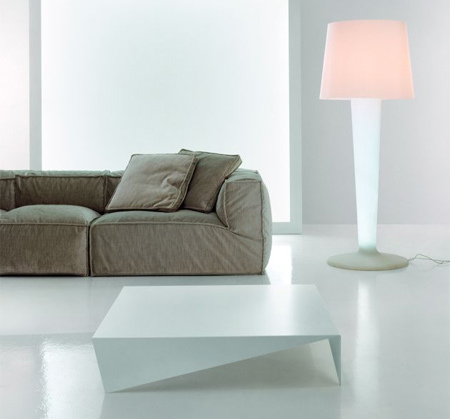 Stylish table designed by Angelo Tomaiuolo features aluminium base and glass counter top. 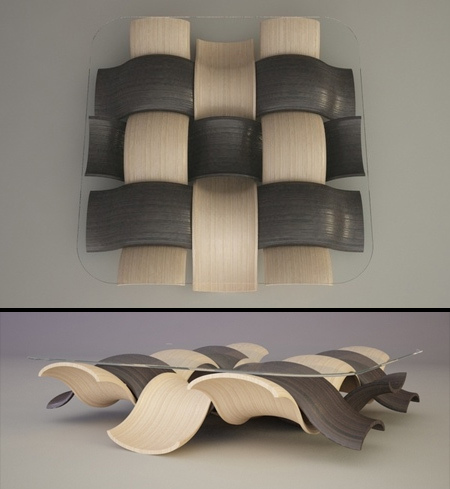 Contemporary table by Max Piva will look great in any modern home. 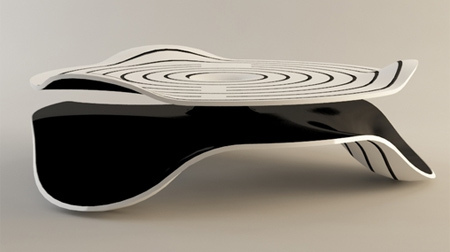 Futuristic coffee table designed by Svilen Gamolov from Bulgaria. 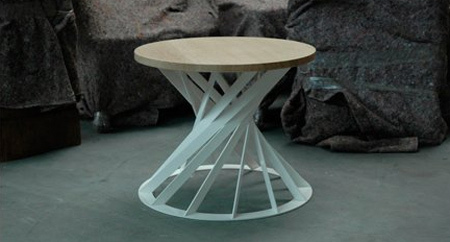 Beautiful table by Vito Selma made from sustainably harvested wood. 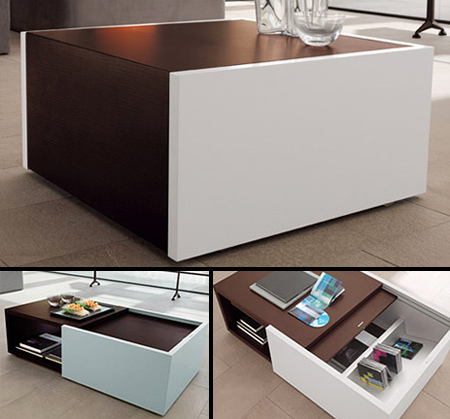 Extendable table features storage space for magazines and books. Stylish table based on the idea of taking a rectangular section from a cave ceiling and using the stalactites for table legs. Wow, I love the CUB8 coffee table. Thats innovention! I love the coffee table with the cat hammock. A great idea, if not a very complex one. I agree with ojanto, the VOILA coffee table is my favourite, very simple! Though the CUB8 looks very useful too. I love the storage one, I’m a sucker for convenience, haha. The pyramid one looks intense, like people would chant around it haha. The pyramid one looks cool but I would never want that in my house for fear of people slipping on top of it…. I actually wouldn’t even want any coffee table with sharp corners. I like mine round! and preferably not made of glass. Yes I’m a very clumsy person if you couldn’t guess. also the moss one would be awesome to keep your snake/lizard/frogs inside of if it was a bit deeper. i love all of them, especially the pyramid, and is that an iphone i see on it? Pyramid Table looks like something out of the eighties. Cat Hammock Table would be fun to see the cat wake up and bump it’s head.